Our in-house military expert, Paul Nixon uses our records to trace the life Herbert Hines, one of over 7,000 soldiers who lost their lives during the Battle of Arras. 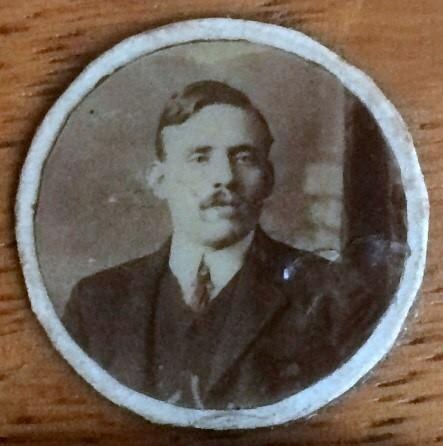 Earlier this year I bought a framed medal group and memorial plaque to a rifleman, Herbert Hines, who was killed in action on the first day of the Battle of Arras - 9th April 1917. On this day, according to the Commonwealth War Graves Commission, 7,149 allied troops lost their lives, the vast majority of these at Arras. The poet Edward Thomas was also killed on this day, shot through the chest, and later buried in Agny Military Cemetery, France. His wife could at least take some comfort that he had a known grave which she could visit in future years. For Herbert Hines however, and thousands like him, there would be no body to bury. Instead, he would be one of the 34,791 allied servicemen commemorated on the Arras Memorial. 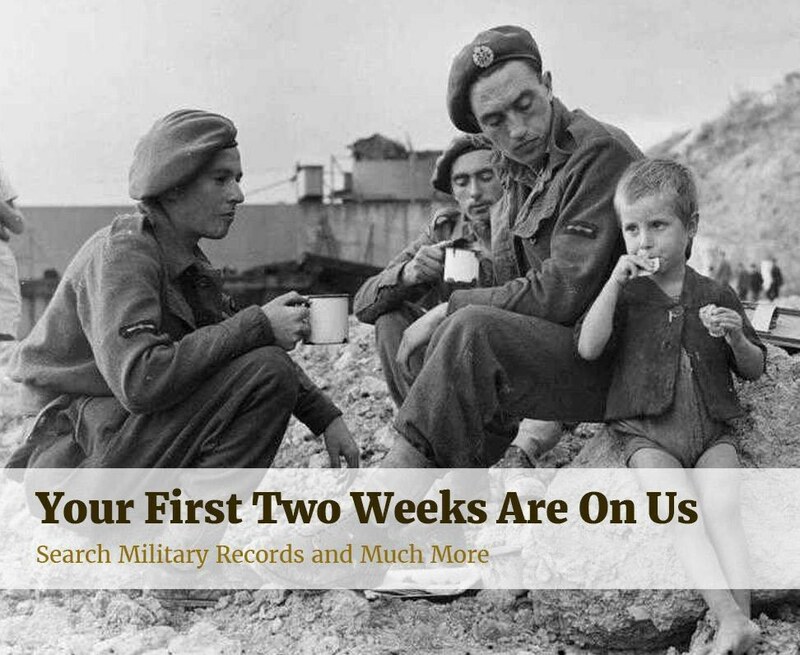 There is no service record that survives for Herbert Hines, his original papers having presumably been destroyed in a German air raid on London's docklands in September 1940. Nevertheless, using the scant information which does survive, it is possible to sketch an outline service history for him. This is his story. Herbert Charles Hines was born in New Cross, South London in 1883, his birth registered at Greenwich in the fourth quarter of that year. He was the son of William Hines, a bricklayer by trade, and his wife Emily, and they baptised him on the 5th December 1883 at Christchurch, East Greenwich. When the 1891 census was taken (above), the family was living at 6 Glenville Grove, Greenwich and comprised William and Emily and their six children; Herbert, aged seven, being the second eldest. His place of birth is recorded here as Deptford. Ten years later, the 1901 census shows Herbert working as a scullery man at Greenwich Naval College and, ten years further on, aged 27, he was living alone at 14 Goodwood Road, New Cross, and working as a pastry cook. The following year Herbert married Eliza Gibson (born 2nd January 1882) in Greenwich and the year after that, on the 2nd August 1913, their daughter Lilian Agnes F Hines was born, her birth registered in Lewisham district in the third quarter of that year. Herbert's regimental number - S/20896 - suggests that he joined the Rifle Brigade on the 6th or 7th June 1916. Other men with numbers in this range are mostly Derby Scheme men who had volunteered in November or December 1915 and were now being called up. 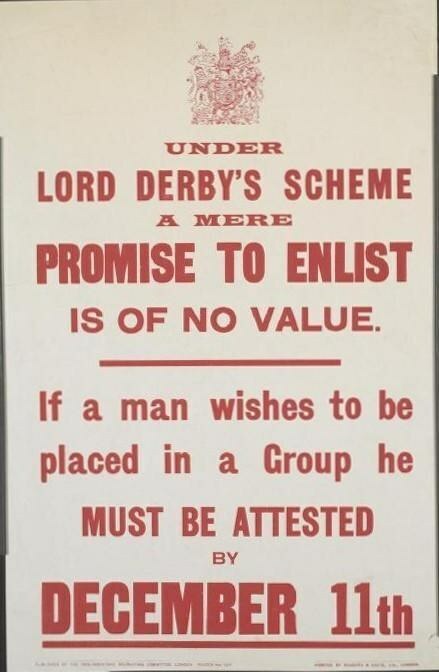 The Derby Scheme, or Group Scheme, was introduced by Lord Derby and allowed men to attest for service and then be called up according to the group they were in. Young single men born in 1897 were in group one, single men born in 1896 were in group two, and so on; right up to group 47=6 which was for married men born in 1875 and therefore aged 40 in 1915. My grandfather and two of his brothers attested under the Derby Scheme, and so too, probably, did Herbert. As a married man, born in 1883, Herbert would have been placed into group 38, and groups 33 to 41 began to be mobilised at the end of May 1916. Looking at men with regimental numbers close to Herbert's it seems likely that he would have joined the regiment at Winchester on the 7th June and was probably posted first to the 15th (Reserve) Battalion on the 10th June. This battalion was converted into the 20th Training Reserve Battalion on the 1st September 1916 and Herbert would subsequently have been drafted to the 1st Rifle Brigade, probably via an Infantry Base Depot in Etaples or Havre. He thus found himself, a civilian pastry cook with rudimentary military training, serving with a regular battalion of the British Army which had been in France since the 23rd August 1914. By this stage of the war, however, the complexion of that battalion would have completely changed, many of the original members of that battalion having become casualties long ago. 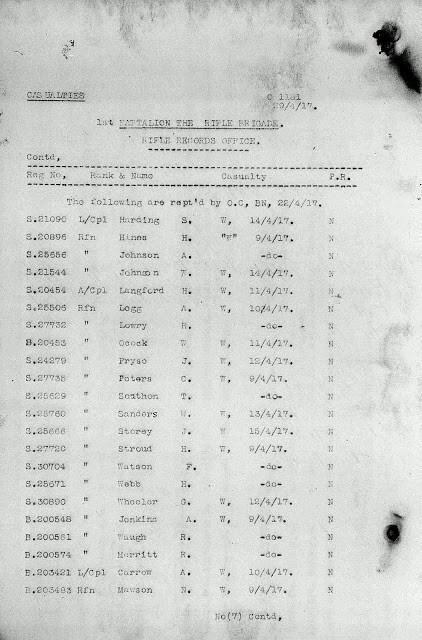 Herbert's name initially appeared on a Rifle Brigade list dated 29th April 1917 which appears to record him as being wounded, although note the quotation marks around the letter W. This is the only surviving paperwork in British Army Service Records that I found, this particular page somehow having found its way into the service record of another man, unrelated to Herbert. Soldiers Died in The Great War records that Herbert was killed in action and his widow would later receive a war gratuity of £3 in addition to the princely sum of £3, three shillings and sixpence owing to him at the time of his death. Eliza Hines would have been sent Herbert's medals and memorial plaque, and it was presumably she who arranged for them to be framed together with a tiny portrait photo of him. She would also have been sent a memorial scroll and a facsimile letter of sympathy from HRH King George V. These latter two items were not with the medal group that I bought and have presumably been lost over time. Eliza Hines never remarried and died in 1962 having been a widow for thirty-five years. The 1939 Register (above) shows her living with her daughter Lilian and a Charles A Eldred at 55 Overcliff Road, Lewisham. Lilian Hines, who barely knew her father, married Victor C Benfield in 1946. The couple had one daughter, Margaret A Benfield, born in 1947. Lilian Benfield died at Hove in Sussex in 1989 and it is possible, I suppose, that it was this point in time that her father's medals came onto the market. They were certainly sold at auction in 2005. Regrettably, I shall not be at the 100th Anniversary Battle of Arras commemorations on the 9th April 2017. Nevertheless, I shall be thinking of Herbert on this day, and all the other men - on both sides - who, by the misfortune of their birth years, found themselves thrust against each other in obscure shell-torn fields of northern France.